Thai Life Insurance Plc., in Bangkok, Thailand, received the Gold Stevie® Award for Consumer Advertising Campaign of the Year in the marketing awards categories of The 2012 International Business Awards, the world's premier business awards competition. (10 April is the early-bird entry deadline for the 2013 IBAs, take advantage of discounted entry fees for those entries submitted by 10 April, request your entry kit here. Interested in similar business award categories? The Stevie Awards now manage the IPRA Golden World Awards, which will be accepting entries through 20 May.) We look at how Thai Life’s ad campaign touched the hearts of millions. Population statistics from a 2010 survey found that Thailand's population composition has changed significantly over the last 10 years. Thai society is aging and the 0-14 age group has proportionately decreased compared to seniors aged 60 years and up. This trend is a consequence of the decline in Thailand’s birthrate and the fact that Thais are living longer, higher-quality lives. Because of this, many life insurance companies in Thailand have shifted their focus in order to communicate with seniors and to create customized insurance products for them. While also providing insurance products for seniors, Thai Life chose a different approach to their competitors: they focused on employed adults and their duty to their elderly parents. Working with Ogilvy & Mather Thailand, Thai Life created an advertising campaign that communicated the message to working adults that purchasing life insurance for their parents would be a way for them to repay the kindness that their elderly parents had showed to them. This strategy has been a powerful one. Today’s employed adults devote ever larger amounts of their life to work, leaving less time for expressing their love for their families and parents. The reality of modern life in Thailand has meant that long-standing traditions of parental care and family relationships are now crumbling. This trend has adversely affected Thai Life’s core business. The family unit is the main source of business for the company, with most people purchasing life insurance as a source of security for the family. Thai Life insurance decided to use the issues of gratitude, and of faithfully repaying a parent’s kindness, as a way of getting through to their target audience. Thai Life’s advertising campaign helped its customers to appreciate the value of taking care of their parents’ well being. When the “Silence of Love” campaign was uploaded to YouTube it received over a million views in the first week. It also received over 730,000 shares on Facebook. The campaign generated 7,153 phone inquiries during August-September 2011 resulting in over 1,154 new policies, with a premium value of approximately US $303,125, being sold by telesales during that same period. Additionally, over 962 new policies with a premium value of approximately US $2,758,900 were sold during the period July-December 2011 via sales agents. The Thai Life “Silence of Love” campaign has received a number of awards, including Best TV Campaign over 90 seconds, Best Director, and Best Copywriting from the 2011 Bangkok Art Directors’ awards show, and a Bronze Award in the Corporate Image category from the 2011 Spikes Asia Awards. Additionally, “Silence of Love” was named Top Talk-About Advertisement in the 2012 Mthai Top Talk-About Awards, organized by www.mthai.com. 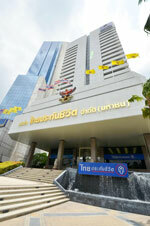 Thai Life Insurance Plc. is proud to be a leader in providing unique products and services. It's the first Thai-owned insurance to support Thai people by offering products that meet the client needs. This is confirmed by the company’s mission to be "More Than Just Life Insurance."